The marine life in the sea around the Pearl Islands harbor many different species. Among the most special sea mammals you can encounter are the different kinds of dolphins and whales. In the waters around the Pearl Island you can encounter four different types of Dolphins; pan tropical spotted dolphins, pacific bottlenose dolphins, spinner dolphins and short-beaked common dolphins. In the Golf of Panama and around Contadora Island you will see the four different kinds of dolphins. But some dolphins are more curious then others and seen much more often. You will probably encounter the pan tropical spotted dolphin the most. These super curious dolphins enjoy hanging around people and can often be found swimming along the boat. When you scuba dive the dolphins often inspect you because you are such a strange creature they have never seen before. They swim, mimic and sometimes bump into you softly just out curiosity. You will recognize the pan tropical spotted dolphin on its freckles all over its brown/gray body. Friendly sea creatures that deserve the respect of mankind. The other dolphins you can encounter are the pacific bottlenose dolphins. These are famous from TV and biology books! They swim in small pods (groups) and hunt as a team, the wolves of the see. 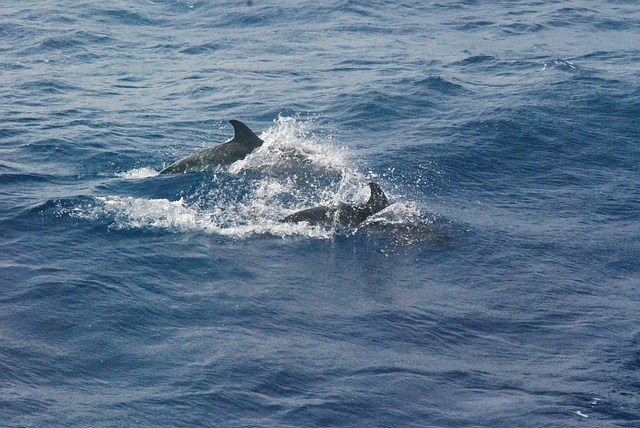 They are curious about humans but aren’t that interested as the pan tropical spotted dolphin. Next we have the spinner and short-beaked dolphins. They are less common and can be found in deeper water further away from the islands. All the dolphins around the Pearl Islands hunt for herring, sardines and fly fish. 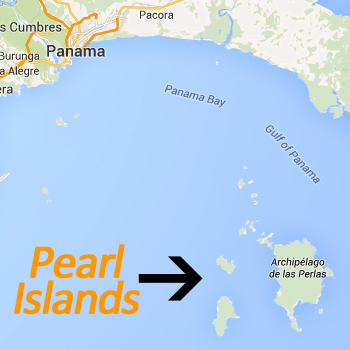 On the island of Contadora many tour operators offer boat trips to spot dolphins around the islands. If you are in the right season June-October and November-March try to book a tour that does whale watching and dolphin watching in one day! This is more fun then watching the dolphins alone.